Black triangles and previous attachment loss are difficult to handle and esthetically concerning for some women as they age. This case featured both in addition to length asymmetries and minor crowding. 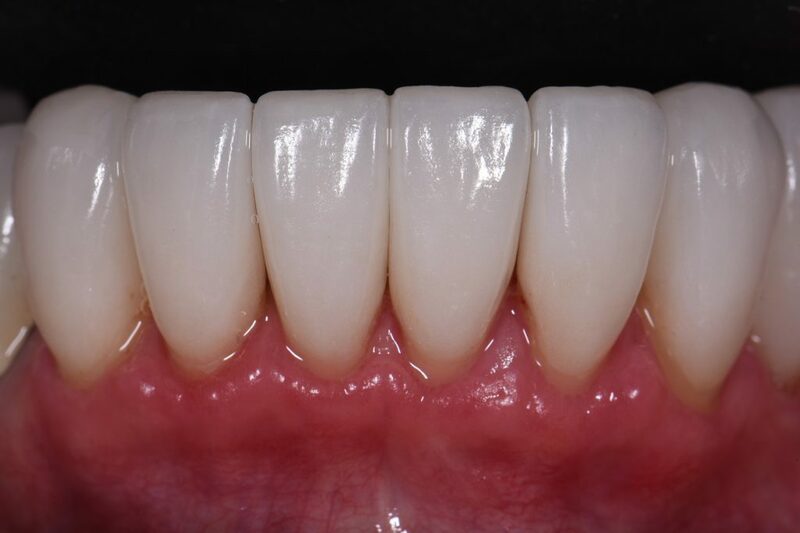 Minimal preparation wrap veneers were completed in this case to mask the defects and reproportion the teeth to a more acceptable width:height ratio all while selecting a lighter, brighter color/value using IPS e-max MT. 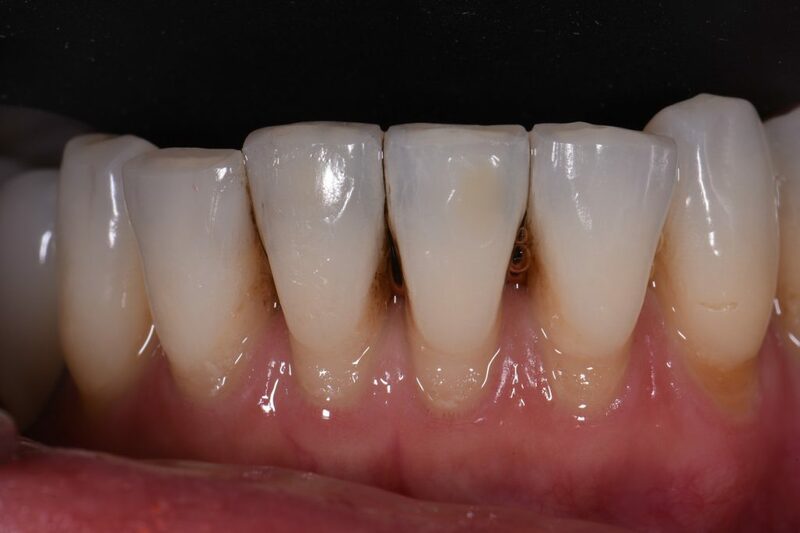 The patient wanted a bonded porcelain option over composite as she drinks a lot of coffee and wanted to minimize the risk of staining and maintenance over time.